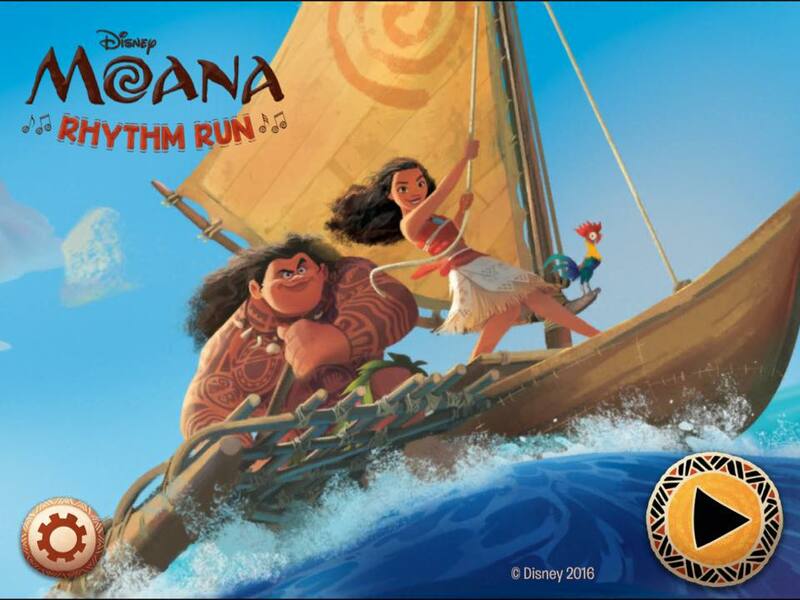 You are here: Home / Uncategorized / Moana Rhythm Run: A new rhythm app for your studio! 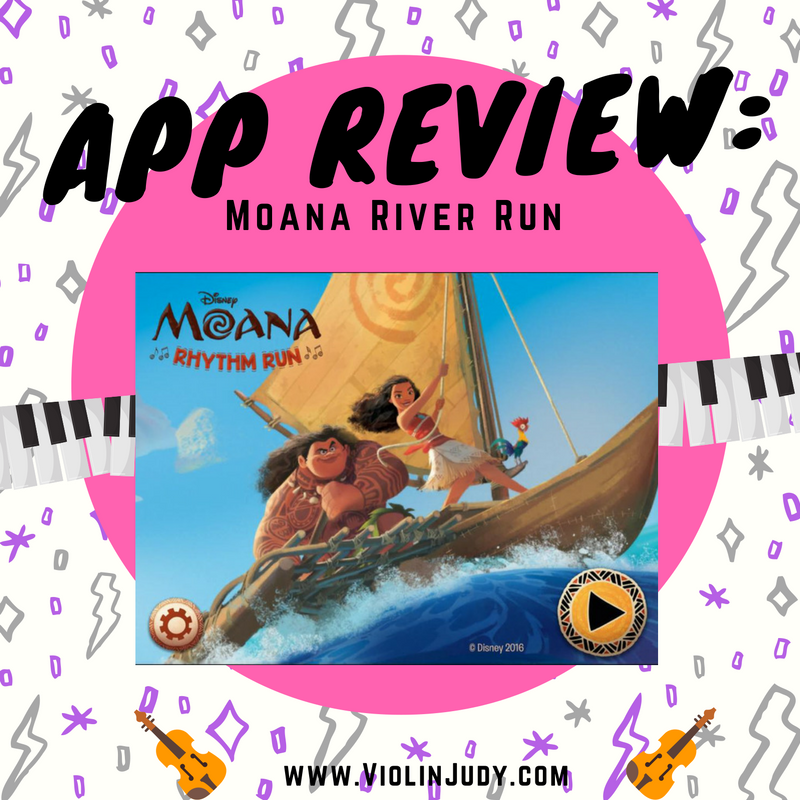 This is an independent review of Moana Rhythm Run, a new app that you may want to purchase for your Music Studio. I have been using it with my students for a week and asking them for their kid reviews. 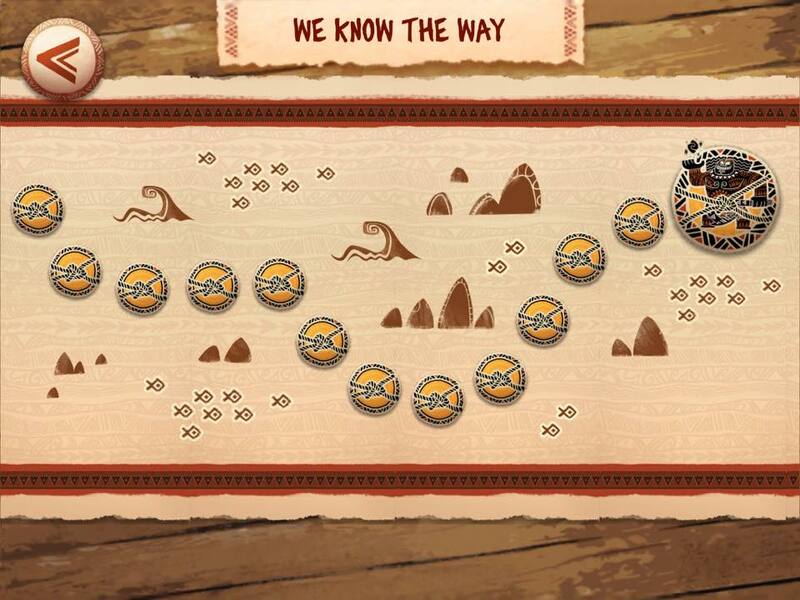 There are 3 different levels/songs in this app: Where You Are, How Far I’ll Go, and We Know the Way. The first level has a pause feature the first time we see the yellow and red buttons, to help you learn the two actions in this game…jumping over objects and breaking through others. 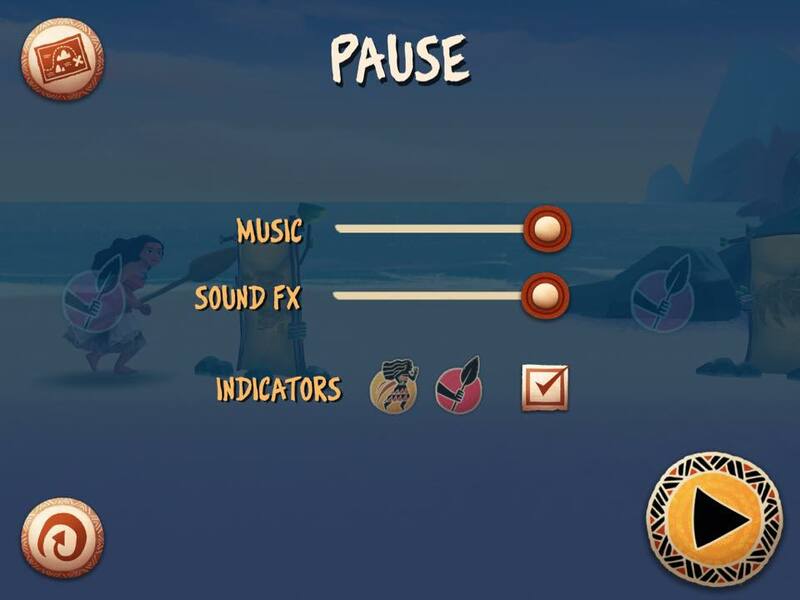 You can also easily pause the game at any time to adjust the levels or turn the indicators, or those yellow or red ghost versions of buttons off (which is great for older kids and adds a memory component to this game. 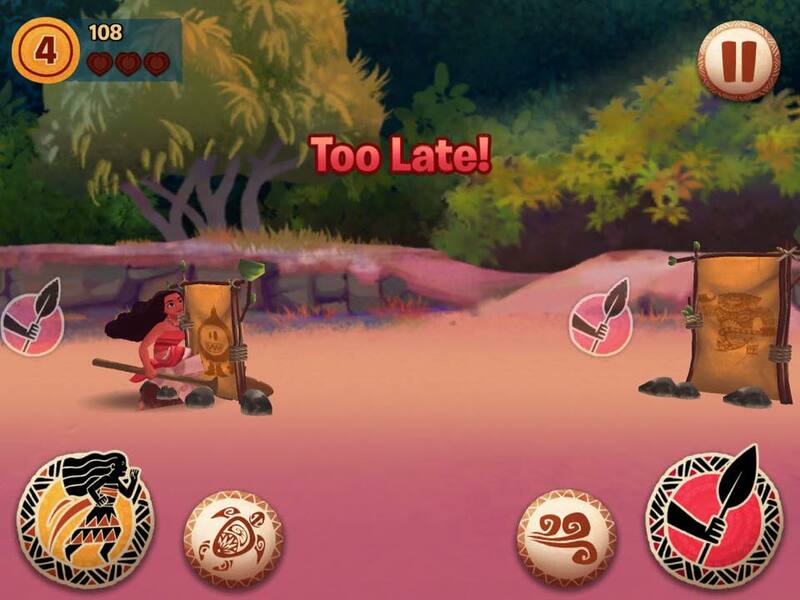 If you fail to jump or attack in time (three times) then you need to restart the level you are currently on but not restart the entire game. This is a nice feature of this app and parallels Audio Ninja in this way. One component of other apps like The Most Addicting Sheep Game is that there is no way for younger kids to ever really complete a harder level without saving progress, but that is part of what makes it so addicting for everyone else! My disclaimer for writing this app review is that I really love lots of Disney movies and products, and this is no exception. I was happy to pay the higher fee for this app because having just seen the movie I knew that my daughter and some of my students would be enraptured with it! Also, I really liked the “no prince charming” and “no parents dying” aspect of this movie. I learned about Hawaiian culture/history and was engaged. I do not think the songs will catch on like they did in Frozen. Miss H: Piano Student Age 16: Has not seen the movie yet but plans to. Ipad mini wasn’t loud enough. We switched to ipad air2 which was better. Problems at level 6 and we found that if she switched to fingers instead of thumbs she had more accuracy, so that was a learning moment for both of us, and how interesting! Miss H. said: “I liked it, but it was hard to hear the beat (without headphones) If I had that app at home I would play it. I like The Most Addicting Sheep Game more. Miss P. Age 12: Has seen the movie, is a Disney fan in general. Loves the app and plans to purchase it with a Christmas gift card in the future. Miss N. Age 6: “Can I play that app again?” “Can I play that app again?” “Can I play that app again?” “Can I play that app again?” (you can tell this review comes from my daughter! she loves it, but still likes TMASG (The Most Addicting Sheep Game) more. I have to say I agree with her. Barry is just so cute and we love to jam out to the music! Miss E: Age 6: She DID NOT like the app, using it with headphones couldn’t pass level 5 and CRIED. Miss K: Age 5: She did like the app and was happy to keep plugging away until I pried the ipad out of her hands. Miss H: Age 6: Loved the app. Wants to do it next week and is going to ask parents to purchase it. Mr. O, Age 9: Loves apps and loved this one. Had just seen the movie. Miss M and Miss G, ages 4 and 5, sisters: Also had just seen the movie and loved the app. So even with one student crying (some days I’m right there with you Miss E!) I intend to keep using this app in the Rhythm App rotation in my studio. In December I tend to focus on the joy of playing Christmas Music (Review in disguise-ha!) but normally I use about 10-20 percent of a lesson with technology. If you are NOT an ipad piano/violin teacher yet and haven’t used any rhythm apps, you should know that i have seen a marked improvement after the introduction of rhythm apps like Audio Ninja, TMASG, ect. in my studio.